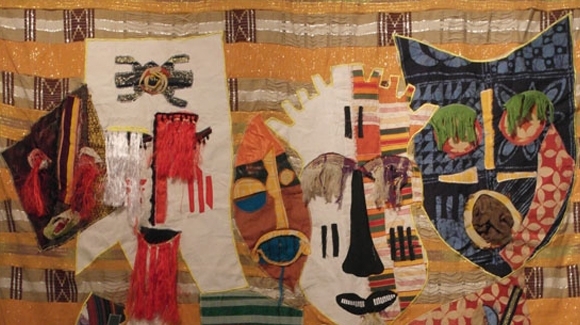 African Artists’ Foundation (AAF) is pleased to announce the first ‘Meet the Artist’ event of 2013 featuring the tapestry works of Ibrahim Adebayo Lawal in a 2 week exhibition titled Memory and Metaphor. Storytelling has always played an integral role in African communities and oral narration was the primary means of passing down creation myths, folk lore and idioms from one generation to the next. These stories stitch and define the fabric of every society from which they originate.